So, this perfume is Versace’s Bright Crystal, and is the first perfume I have purchased in years! But I decided it was a bit more of a grown up gift so I asked my mum for this one – after trying on like 40 other perfumes at the pharmacy haha! Now, lets make it plain and clear – I LOVE this perfume!! <3 <3 I usually don’t like things that are particularly sweet or florally but this one smells like a warm summers day – which suits my birthday perfectly haha! Next Post Confidence – The Most Attractive Quality? Wow your perfume seems very cool! It’s nice to hear that someone likes perfumes like I do. I usually don’t like scents which are too strong, but too soft is not that noticeable either. I guess, then, I like the mid-ranged ones. The perfume looks so adorable! And happy belated birthday! 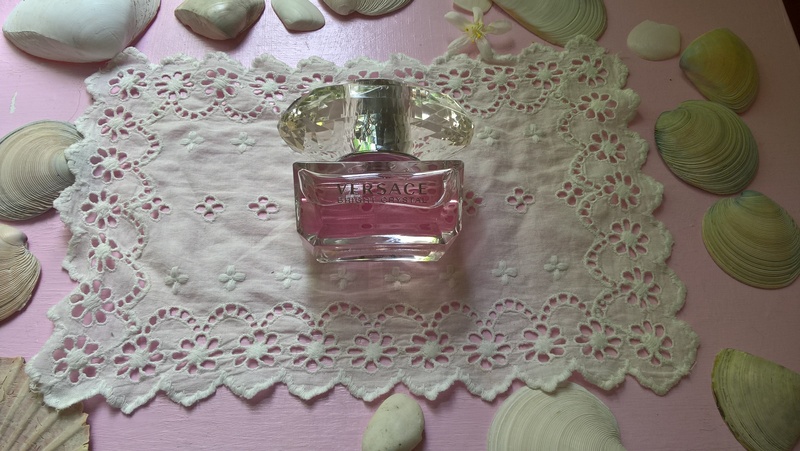 This Versace perfume is one of my absolute favorites. I had it a while ago and used it excessively till it ran out. I haven’t replenished it yet because I like to try new ones each time, but I may have to go back for round 2 soon! What a gorgeous perfume! Love its pretty crystal bottle, too!! I think my sister may have it. I love the one in the purple bottle, too!! Gotta love Versace. Great post, hun! You really are a great blogger. I have got the perfect clothes, shoes and bags to go with your perfect perfume! !